Get hired and love what you do. 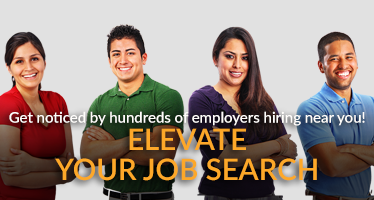 Search for jobs at companies recruiting talented Hispanic professionals. You're passionate about your career, and we're passionate about enhancing it. Our leading technology, tools, and resources help you connect with employers that recognize the value of an inclusive and diverse work environment. Sign up today and find the job that's right for you. Upload your résumé and photo to let the community know who you are. With a complete profile employers can find you. Set up email alerts and get relevant jobs straight to your inbox. Explore jobs that fit your experience with our advanced search. Start interviewing and connecting with companies that value what your unique diversity brings to their workforce. 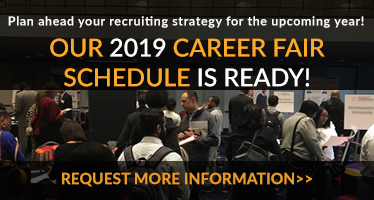 With over 1.5 M job seeker visits and a leading recruitment platform, we help you connect with talented professionals who are interested in becoming part of your company. We help you find diverse candidates nationwide. "I got a job right out of school for a couple years and the team was not diverse at all. Once I started to apply on iHispano I was able to interview at companies where diversity was more engrained in their culture. Now I’m at a job where I’m more comfortable and happy"
"I’m a Hispanic male and when I first entered the professional job world it was a bit tough to fit in…my coworkers subconsciously acted like I was an Affirmative Action hire with no skills. But after finding a job on iHispano, I feel much more appreciated at my company."